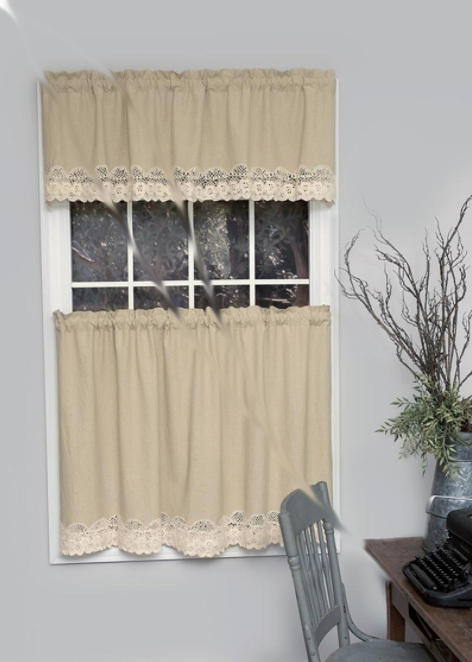 Sweet natural beige cotton valance with a hand crochet lace bottom trim. 54W x 16L. Pairs perfectly with the Ribbon Crochet tier.